Tympanik Audio comes up with a Netherlands-based project. After their debut release signed to the hard working people of the Dutch Mindtrick Records, this Dutch duo presents us their second full-length album to the US-based No. 1 institution for demanding Ambient/IDM/Electronica music, Tympanik Audio. Label-mastermind Paul Nielsen has had again the right nose for talent, as 'Transience' easily approves. Both band-members, Robbert Kok and Ralph van Reijendam, present us their eclectic and eerie form of post-modern Ambient-Electronica music, which turns out lesser 'powerful' than mentioned in the accompanied label info-sheet. This duo concentrates to produce icy and filmic sounding Electronica-/Ambient-soundscapes which got supported by abrasive and at times noisy rhythmic elements which can be found in several related IDM- / Glitch-productions. 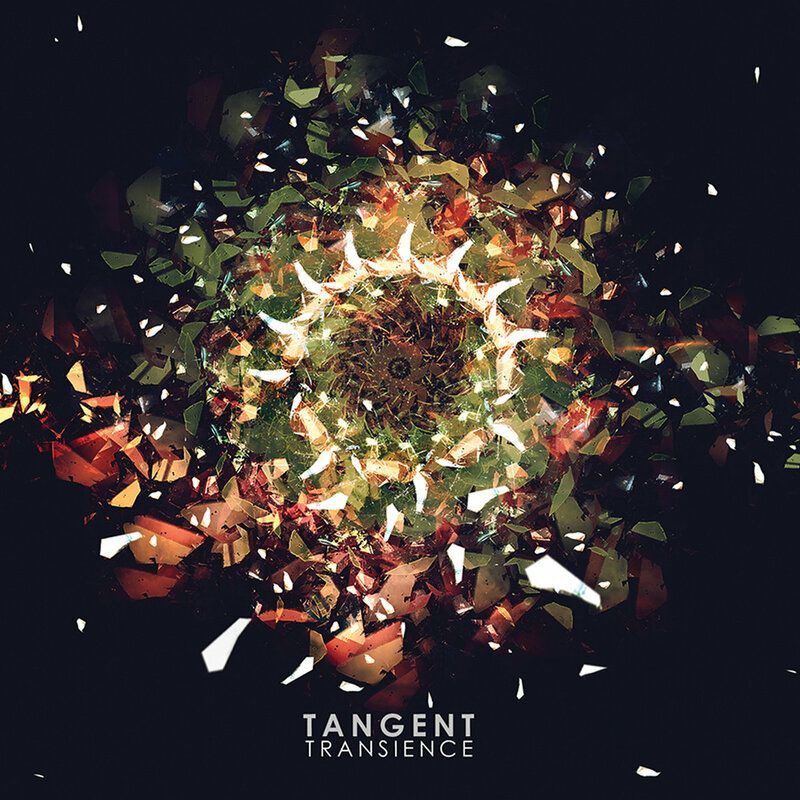 That doesn't mean that Tangent have to be reduced to be a copy-cat. It's rather the opposite, but Tangent stands for another example that it is nearly impossible to search out the true pearls out of the mass of mediocrity when it comes to point on the rhythmically part of a production. A track like the opener 'Drifting Frontiers' lives essentially of its ongoing addition of those experimental sound collages until the scattering percussion set joins the scenario. 'Sublimated' is more accessible rhythmically, it even offers linearity, but it too points out, that Tangent's music scores the most with their crystal-clear produced Electronica- / Synthesizer soundscapes. Also worth a mention is 'Shattered' with its plain starting lo-fi synth-drops and the ongoing abrasive percussion set until the Gridlock-like, ice-cold pads drive this track. To follow the lost piano drops produced under large hall reverb-effects in 'Radiating Singularity' is another thrilling experience worth to discover. With the track 'Bloom' there came up hopes that the whole sound-environment would change to a warmer, friendlier tone, but also this bloom rather acts like an ice-flower. So the whole album is not at all a new collection of more or less rhythmically Noise-tracks, which would work well in the clubs. It is rather a precisely and fascinating produced album of futuristic, icy soundscapes which need a bit free time to catch the whole content. It is definitely not the soundtrack for plain background entertainment, but throughout an enlightening album and an ideal addition to the Tympanik-roster.